marketplace, is thrilled to announce that Venues In Paradise has been selected as a winner of the prestigious WeddingWire Bride’s Choice Awards® 2013 for Ceremony and Reception Venues in Orange County, California! WeddingWire Network who demonstrate excellence in quality, service, responsiveness and professionalism. Venues In Paradise’s selection as a Bride’s Choice Award 2013 winner was selected based on the positive experiences expressed by past clients on WeddingWire, the world’s largest wedding review site with over one million reviews. While many industry awards are given by the host organization, the WeddingWire Bride’s Choice Awards® winners are determined solely based on reviews from real newlyweds and their experiences working with Venues In Paradise. 20 service categories, from wedding venues to wedding photographers, based on professional achievements from the previous year. Award-winning vendors are distinguished for the quality, quantity, consistency and timeliness of the reviews they have received from their past clients. As a Bride’s Choice Awards winner, Venues In Paradise is highlighted within the WeddingWire Network, which is comprised of over 200,000 wedding professionals throughout the United States, Canada and abroad. 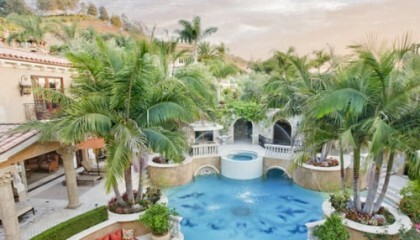 Venues In Paradise is thrilled to be one of the top Ceremony and Reception Venues in Orange County, California in the WeddingWire Network of sites, which include leading wedding sites such as WeddingWire, Project Wedding, Brides.com, Martha Stewart Weddings, and Weddingbee. We would like to thank our past clients for taking the time to review our business on WeddingWire. We value all of our clients and truly appreciate the positive feedback that helped us earn the WeddingWire Bride’s Choice Awards® for 2013. 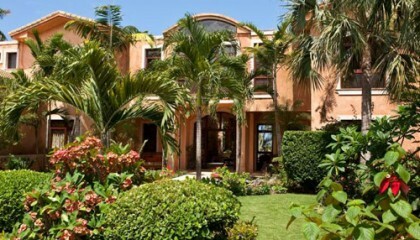 For more information about Venues In Paradise, please visit our website today at www.venuesinparadise.com. WeddingWire®, the nation’s leading marketplace serving the $70 billion wedding industry, is the only online wedding planning resource designed to empower both engaged couples and wedding professionals. For engaged couples, WeddingWire offers the ability to search, compare and book over 200,000 reviewed wedding vendors, from wedding venues to wedding photographers. WeddingWire also offers a comprehensive suite of online planning tools for weddings, including wedding websites and wedding checklists, all at no charge. For wedding professionals, WeddingWire is the only all-in-one marketing platform for businesses online and on-the-go. WeddingWire offers one simple solution to build a professional network, improve search visibility, manage social media and reach mobile consumers. Businesses that advertise with WeddingWire appear on WeddingWire.com, ProjectWedding.com and other leading sites, including MarthaStewartWeddings.com, Brides.com and Weddingbee.com.